I have a massive one, little off since the monitors are different sizes. 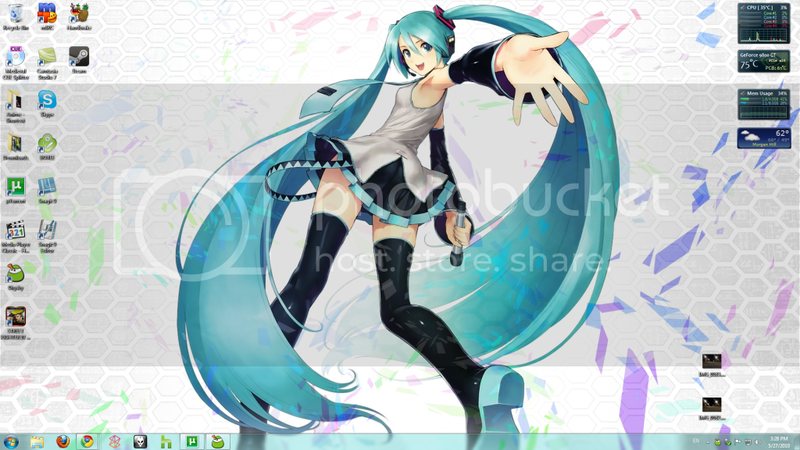 I think I has a pretty sweet desktop. 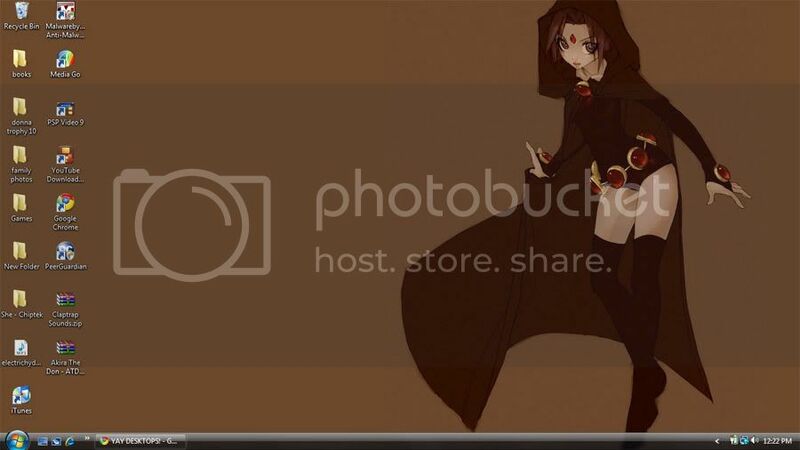 My wallpaper changes every 5 seconds, so this almost doesn't count. That's what it happened to be when I capped it. Mine changes with my mood. As for this one, I'm still getting used to the brown. But Raven makes it wonderful. 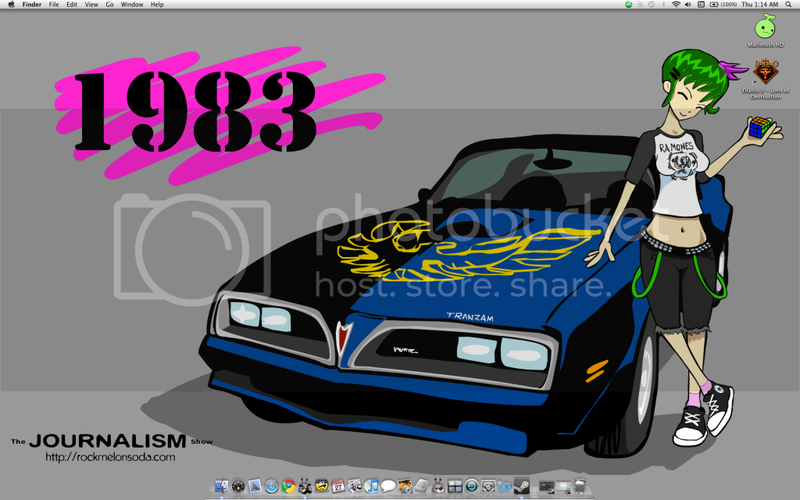 Also my desktop is kind of cluttered compared to the rest of yours. Also most of them are using MACS which are kind of prone to being icon free mostly. I used to use Ubuntu, same deal. 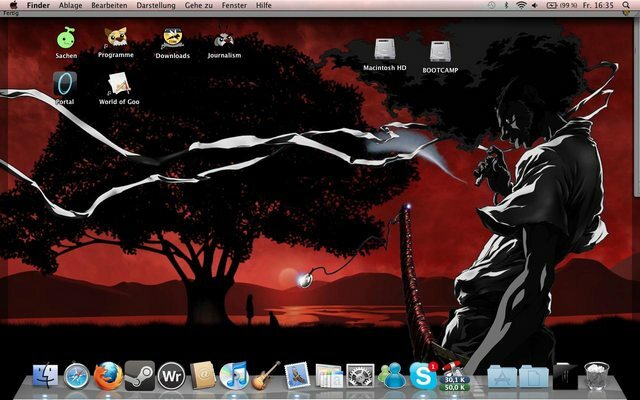 It's set up so much less icons wind up on your desktop. Messy but still 100x cleaner than my previous. 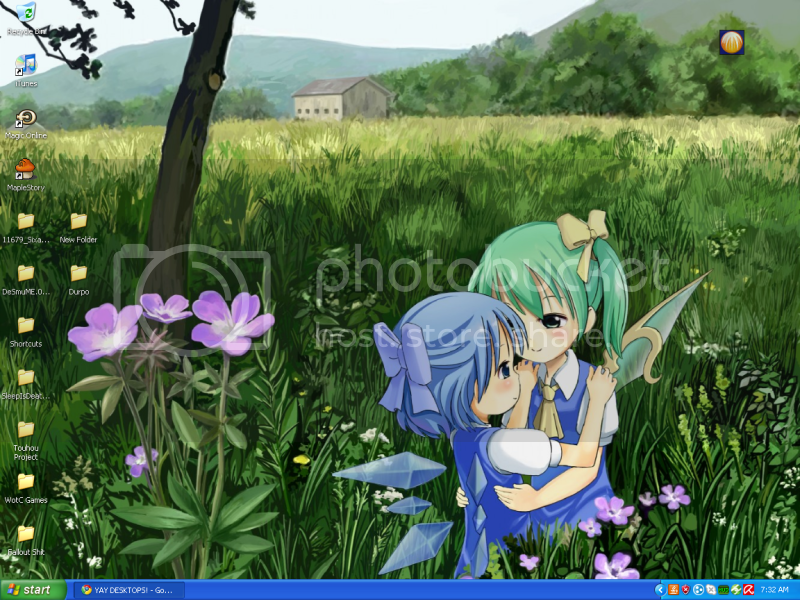 Just grabbed the wallpaper like 2hrs ago, before that I was just running default win7 background. Danbooru has most of his stuff scanned. 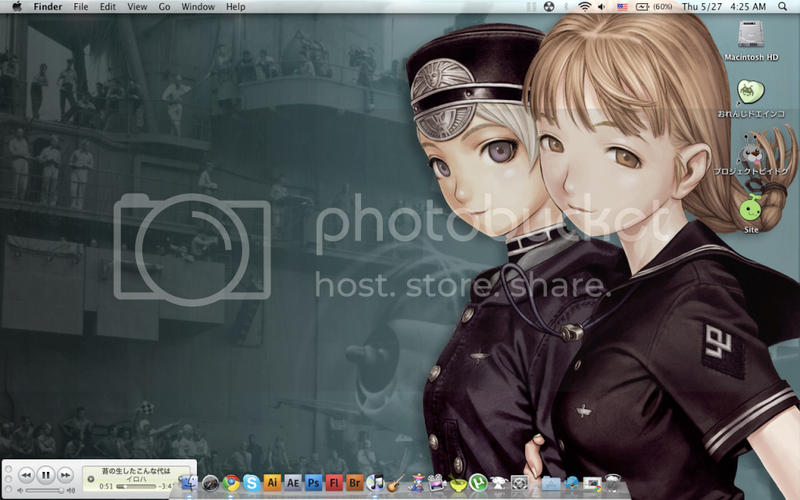 Or if you sign up to Minitokyo/AnimePaper, someplace like that you can get the sweet high res. 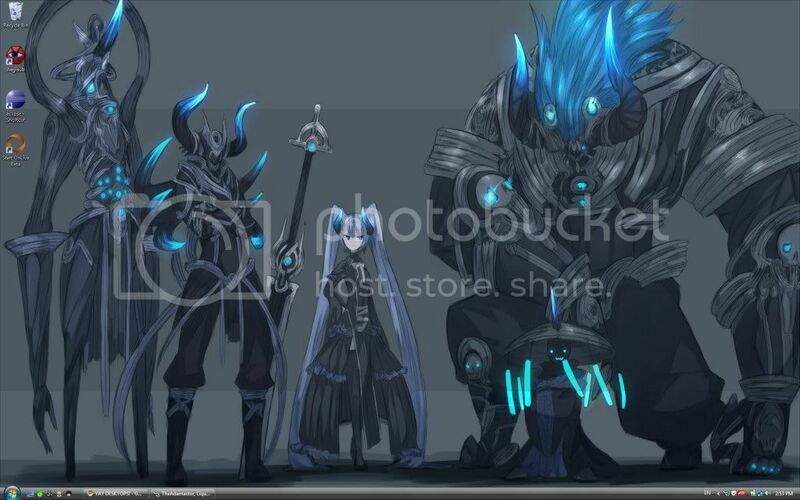 That's where I got the pics I made the wallpapers from. How did you screencap your iPhone? hold down the home key then press the power button. I didn't know I could do that. Thank you. 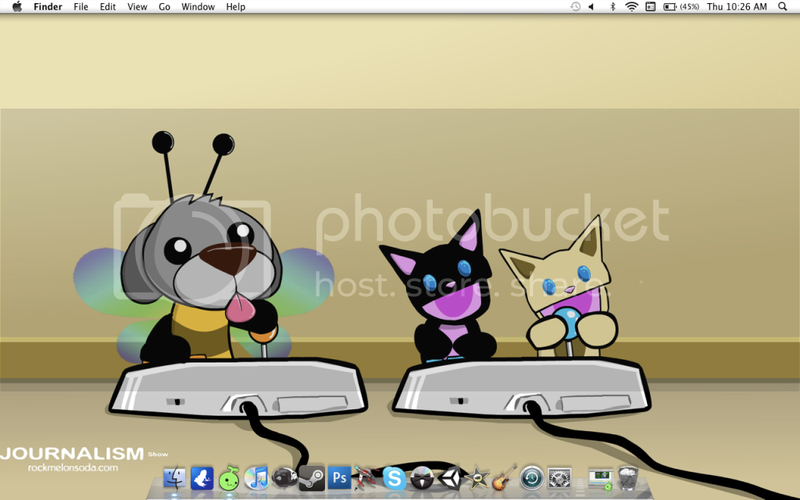 I keep my desktops clean. So that's why you don't see any icons. 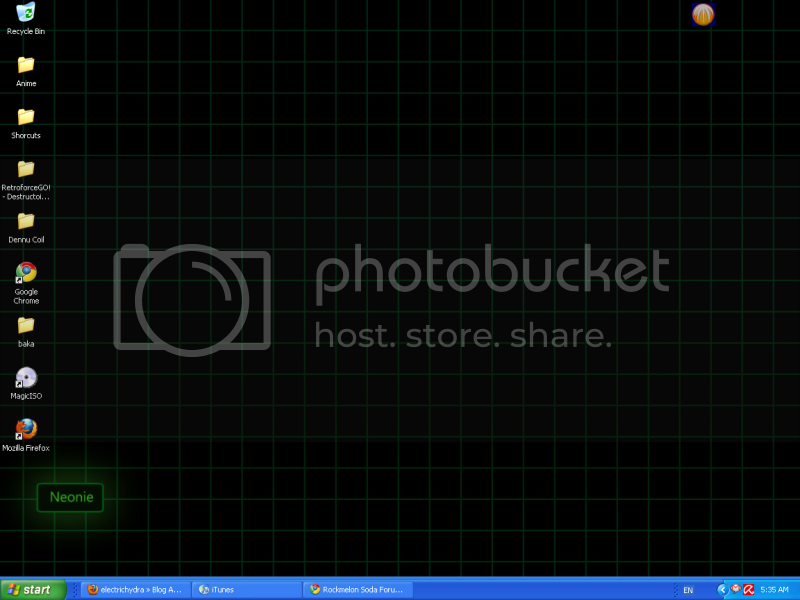 Plus I have the task bar to autohide. I heart Moxxi. I heart Moxxi so much. Could you send me that Samus pic?